This meadow was in rolling hills all green and lush. 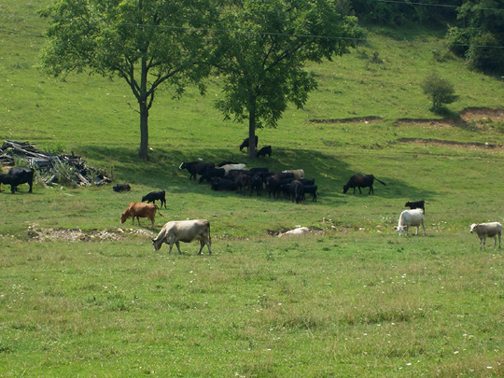 the cows seemed to have a happy home and they are grass fed!. No mad cow priams are being passed around from feeding cows to cows. ~ by Sandra Lynn Gray on August 21, 2007. This pasture looks inviting to me. I live in the city but really enjoy the open country with farms and beautiful land. This post has given me a break from my city life.